Things just get better and better. For the reader, that is. Maybe not so much for the characters in the book, for most of whom things are just getting scary. These are the chapters where I would say Jonathan Strange & Mr. Norrell becomes an epic fantasy in a characteristic other than page count. While Norrell has done quite a bit of magic around England, most of it has happened off-page, and though Strange has done some impressive magic, especially in the war, it still feels inconsequential in comparison to the things going on now. In Venice, Dr. Greysteel receives a visitor: the newly-freed-from-debtor’s-prison Mr. Drawlight, who is as odious as ever. Drawlight has already been flittering about all over Venice in order to find out rumors, malicious and otherwise, about Jonathan Strange in addition to spreading some of his own (namely, the rumor that Jonathan Strange murdered his wife). Finally, Drawlight makes his way to see Dr. Greysteel, hoping to pump the man for information about Strange. To Drawlight’s disappointment, Dr. Greysteel is a sensible man and a loyal friend; even Greysteel’s servants are incorruptible. Unfortunately, Drawlight doesn’t truly need Greysteel’s help to blacken Strange’s name all over town, and soon “Jonathan Strange murdered his wife” is added to the list of things that “everyone” knows. 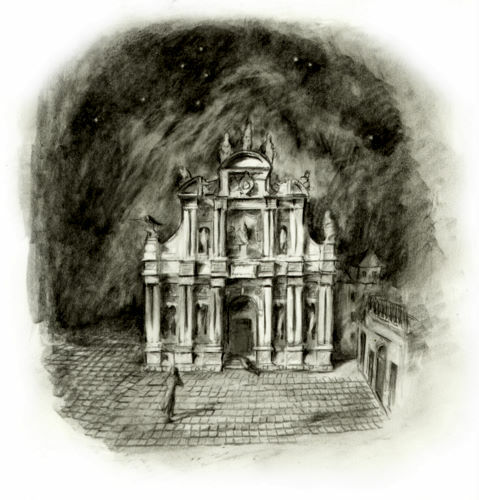 When Drawlight tries to bribe Greysteel’s servant, Frank, he finds himself pushed unceremoniously into a canal that uncannily whisks him into the dark part of town that surrounds Jonathan Strange. Drawlight discovers Jonathan Strange outside a church in Venice. Drawlight is terrified by the darkness he finds himself in and is wandering around trying to find his way out when he finds Jonathan Strange. It takes a moment, but Strange recognizes Drawlight and tells him he has three messages Drawlight must deliver. Back in England, Stephen Black is visited by the man with the thistledown hair, who is frightened and angry. He knows what Jonathan Strange is doing, and he doesn’t like it. I’m so happy that Flora kind of gets her own chapter here, and it’s a good one. After being sent away from Venice, she and her aunt have taken lodging in Padua where Flora can rest and deal with her disappointment over her separation from Jonathan Strange. Before Flora can really move on, though, she has one last meeting with Strange, under bizarre circumstances. We find out that the purpose of this meeting was so Flora could persuade Jonathan Strange to give up the madness, and he has even given her the bottle of tincture he made so she can dispose of it. 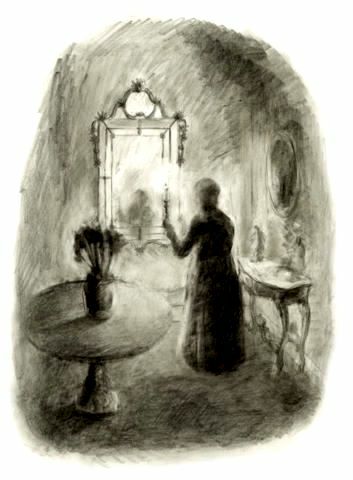 Flora is sad about the loss of Strange, but she is determined to be a good friend to him and insists that she convinced him to leave off the madness because she believed it was what Arabella would want. When Flora pours the remainder of Strange’s madness tincture into the sea, I feel like she really is going to be okay. In England again, Norrell and Lascelles are very concerned about how things are going. While they have managed to largely discredit Jonathan Strange, this has also worked against their own interests, and Norrell is no longer receiving any commissions from the government and has become rather generally disliked and distrusted. Perhaps the first sign of change is when Childermass informs Norrell that magic is being done in England. While there has been talk for years of magic, this is the first time that it seems to be legit claim, and Childermass seems alarmed. Lascelles is disdainful of the idea, though, and directs Norrell’s attention to a summons from the Ministers in the hope that it will be a new commission at last. When Norrell and Lascelles meet with the Ministers, it turns out that it is a commission, but it’s not what either of them expected. Childermass was correct in his assertion that people were doing magic in England again, and the Ministers have numerous confirmed stories of their own. When Norrell denies any knowledge of or responsibility for any of this, it becomes obvious that Jonathan Strange has done something to bring back the magic. 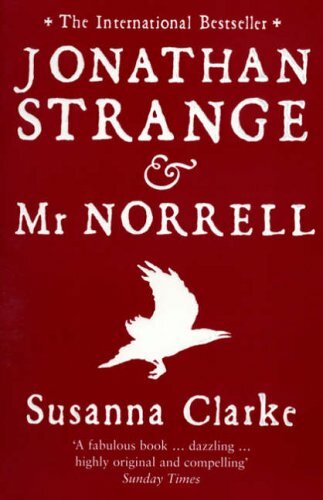 Norrell’s new commission, therefore, is to prevent Jonathan Strange from returning to England. Norrell knows that there’s really no way he can prevent it–he can only prepare for it. Childermass suggests that Strange will go to Hurtfew Abbey–presumably for Norrell’s library–so that will be the place to meet him.